Whilst the murder case behind the story of the "Devil's Knot" is well known in America it's almost unheard of here in the UK. This is a big problem as lack of knowledge of the subject matter makes the whole thing a bit of a head scratcher. Devils Knot tells the true story of the 1993 murder and mutilation of three little boys in West Memphis, Arkansas. It follows the story from their murder to the court case that led to the conviction of three local teens. Reese Witherspoon plays Pam Hobbs, the mother of one of the victims whilst Colin Firth is Ron Lax, a private Investigator who not wanting to see the three teens being sent to death row, no matter the horror of their crimes, and on a no fee basis donates his services to the defence. Witherspoon and Firth are each pretty much under used as they flirt in and out of the film at different times. Firth appears to spend the whole time standing on the outside watching events unfolding before him. For a private investigator who could clear three boys and stop them going to the chair he does very little. Lax is a man with a past that much is certain, but unfortunately, other than a flash back that doesn't make much sense in the context of the story, we never really get to know his motivation. The trial of the three teens Damien Echols (James Hamrick), Jason Baldwin (Seth Meriwether) and Jessie Misskelley Jr. (Kris Higgins) is confusing as characters flirt in and out of the story. The story is so biased towards the defence case that you wonder how the case ever came to trial in the first place. The case against the teens appears to be based on nothing more that southern superstition; the boys are believed to be involved in devil worshipping. The police are shown to be biased and incompetent as evidence is lost, witnesses are shown to be unreliable and leads that could point to the innocence of the boys are never followed up. 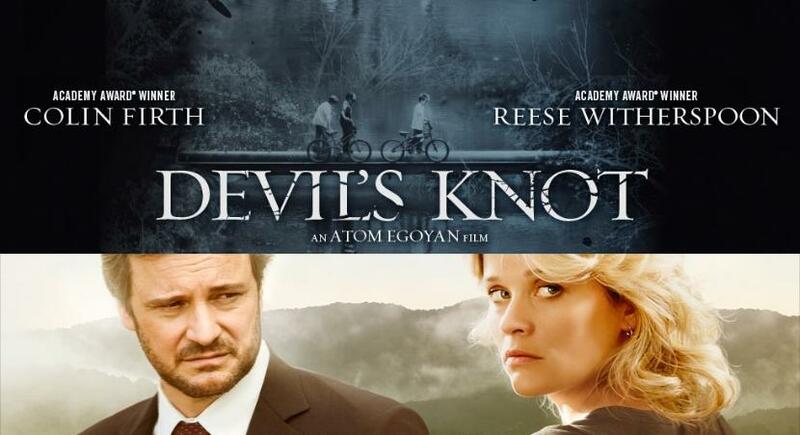 Devils Knot is a confusing and, surprisingly given the terrible story that it covers, not very interesting film. It's an A list cast in a B list movie and one that would be better watched on DVD.